It’s so nice to have the energy to devote to creating. We haven’t started any fermented veggies in FOREVER, so I tackled that today. First on the list? 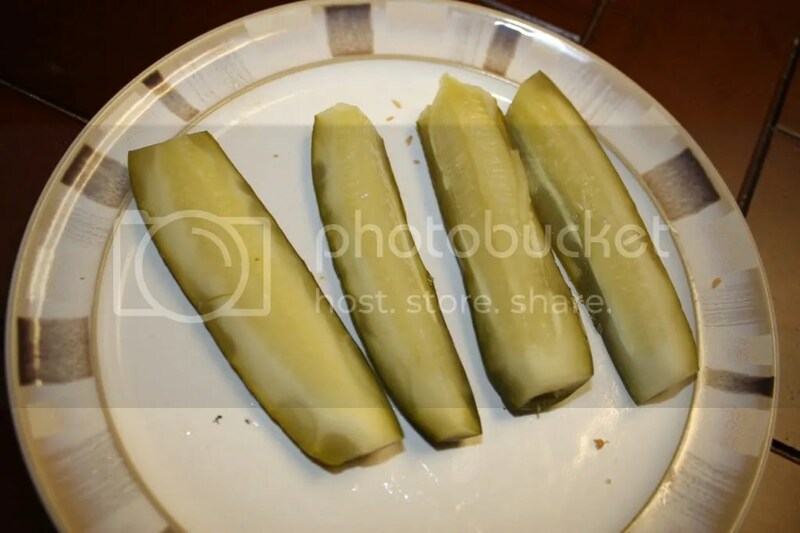 Dill Pickles. 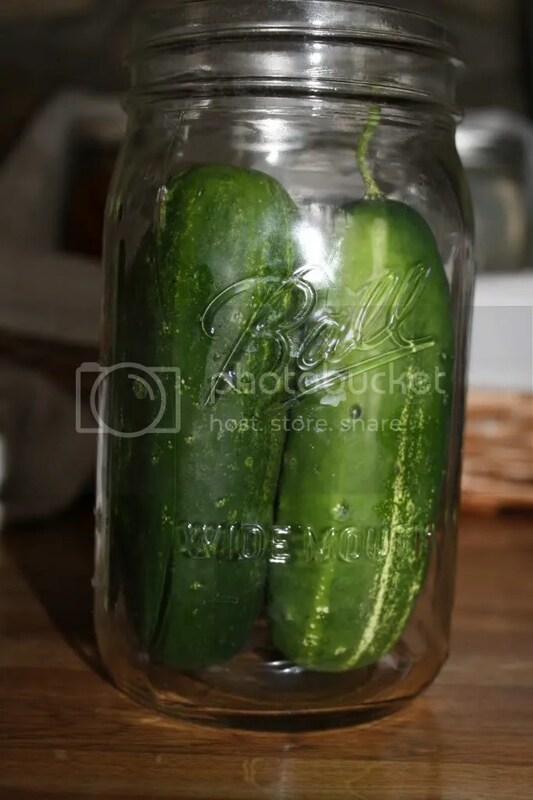 Don’t the cucumbers look so pretty in the jars? 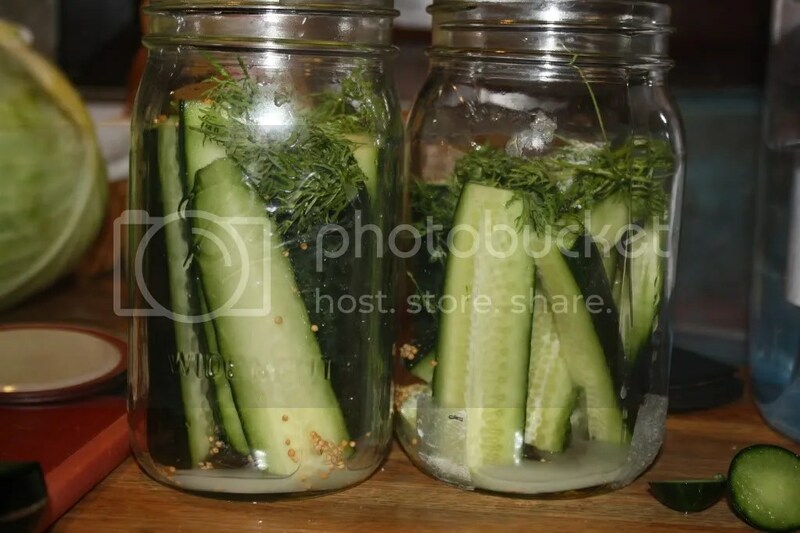 We had fresh dill from our last CSA delivery, so I added that to the jars, along with sea salt, mustard seed, and whey. 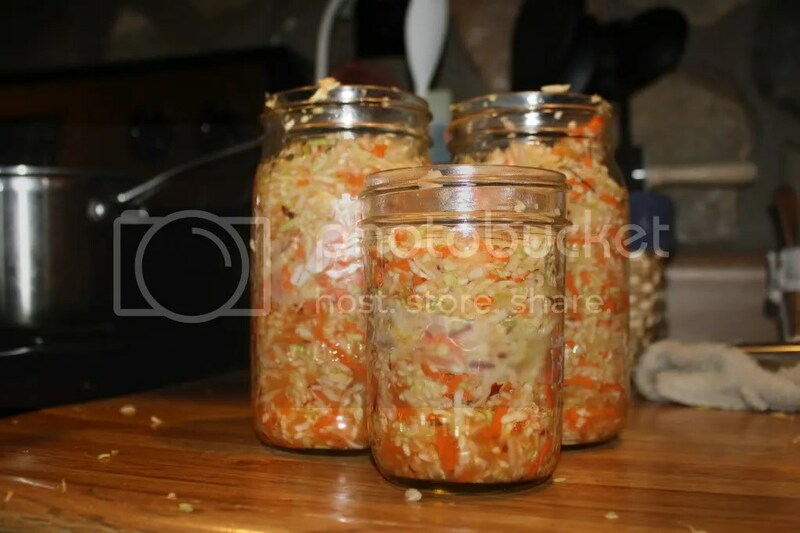 The other thing I got fermenting was a sauerkraut concoction. 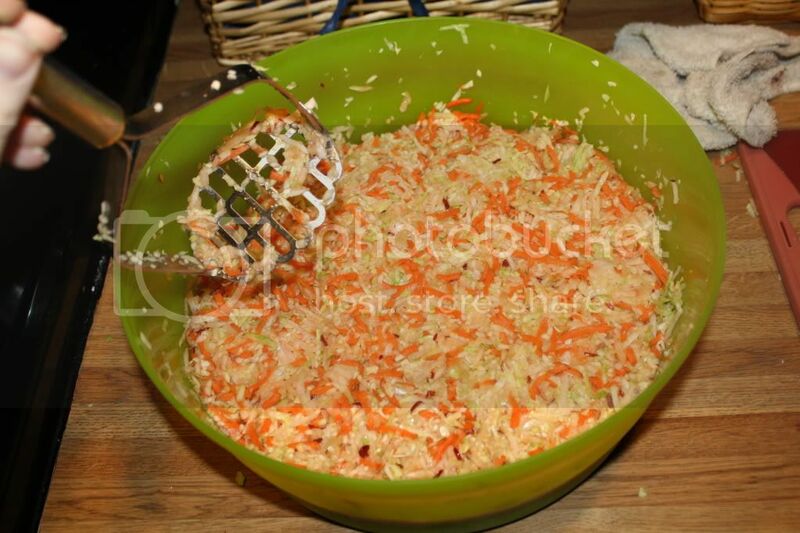 I started out shredding a head of cabbage and 2 apples. I read in a few different places that adding apples will give it a different taste, so I am trying it out. It needed more color, so I added in a ton of carrots. I sprinkled salt on top to get the juice out of the produce. After mixing it together and letting it sit for a little while, I smushed it all up. Into the jars it went, with some whey and water! Since our house is relatively chilly, it will take more than a few days for them to get going, so I’ll keep you posted! 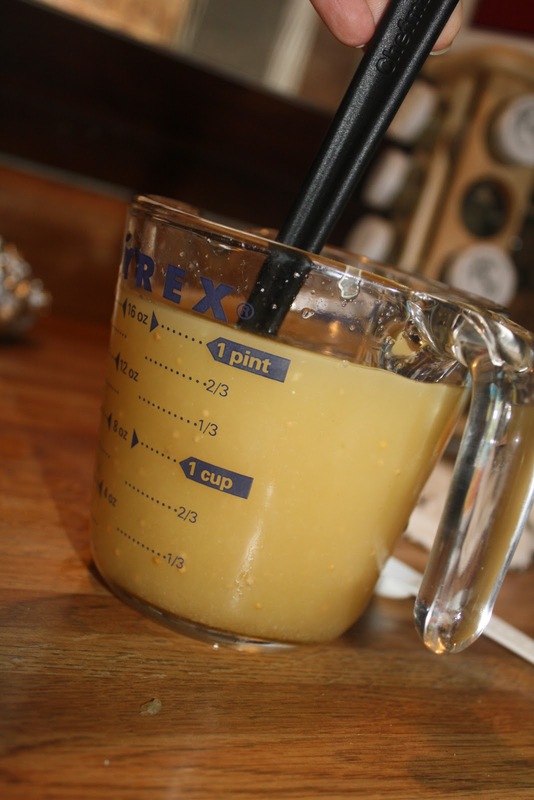 This post was shared on Real Food Wednesday with Kelly the Kitchen Kop and Simple Lives Thursday at GNOWFGLINS! 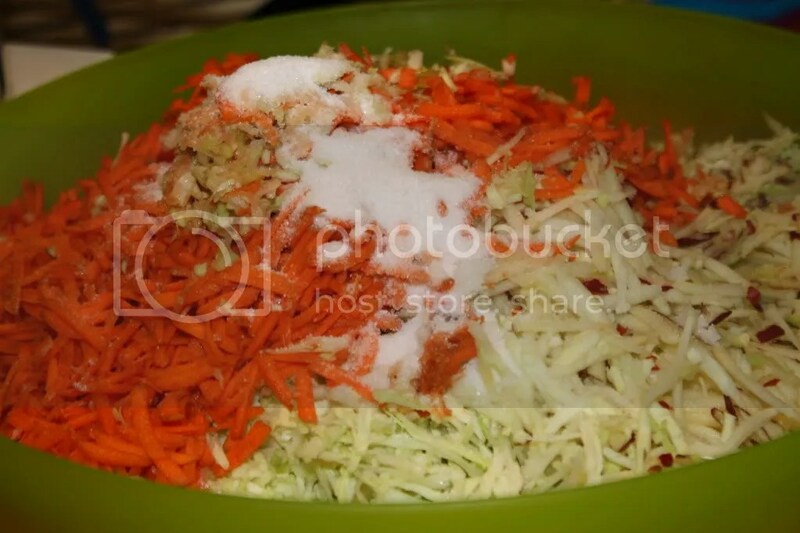 Categories: apple, cabbage, carrots, cucumbers, lacto-fermented, nourishing basics, veggies | Permalink. 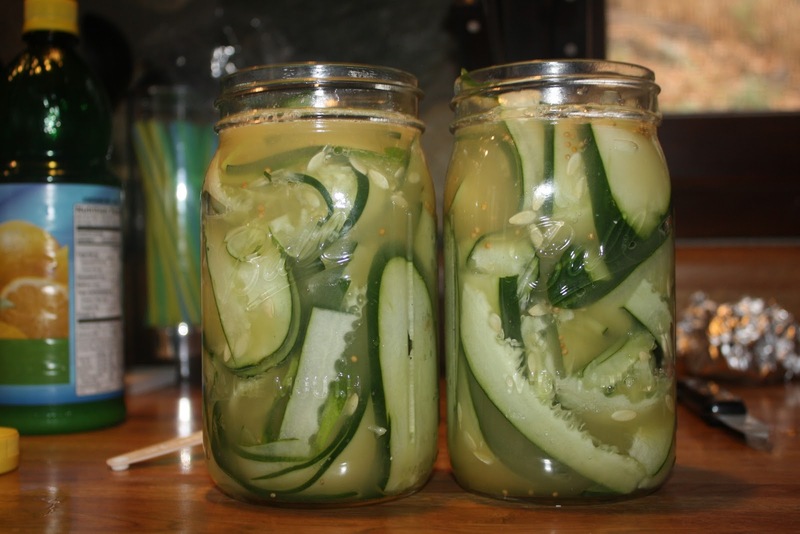 I haven’t talked about our lacto-fermentation in a while. We have still been working on a number of projects. Check out the pickles! We covered it with filtered water and waited about a week. It worked! They were definitely pickled, although I need to adjust the seasonings a bit. 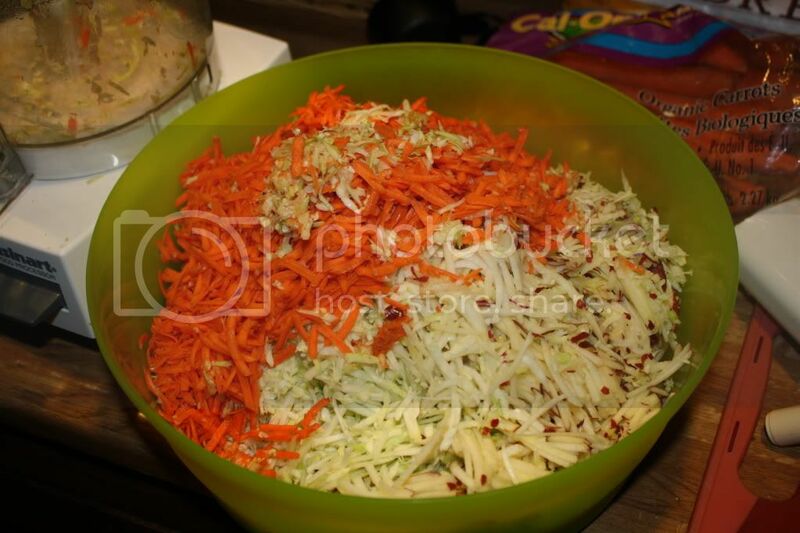 This post was shared with Real Food Wednesday with Kelly the Kitchen Kop! 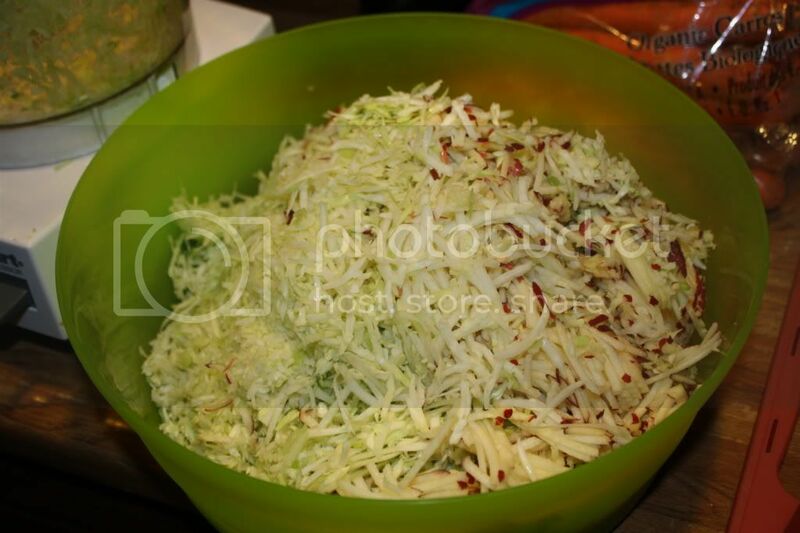 Categories: cucumbers, lacto-fermented, veggies | Permalink. Since jumping headfirst into a more traditional way of eating, we tried many things from “Nourishing Traditions.” We had not yet tried Lacto-Fermentation. That changed today. I have a soft spot for bread-n-butter pickles, really pickles of all types. Lately, however, I have been finding my beloved sweet pickles TOO sweet. Any pleasure derived from them was canceled out by my feelings toward the ingredients and a desire to create my own. 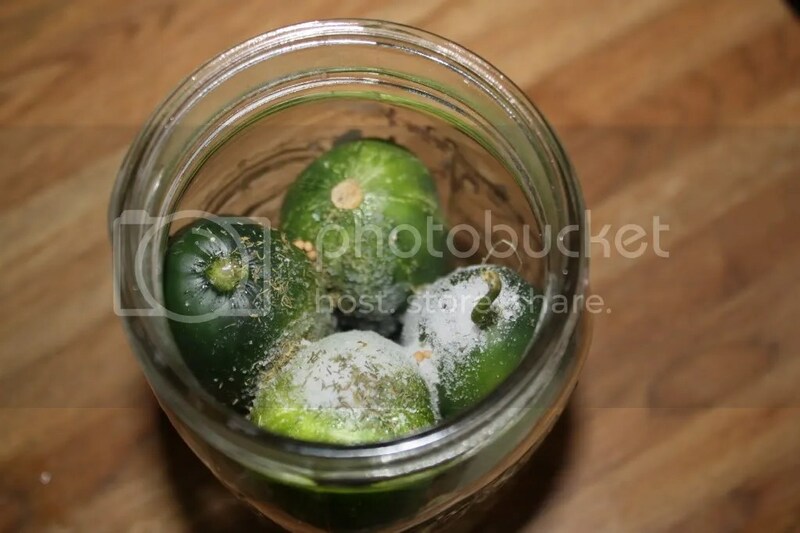 Enter: Lacto-Fermented Pickles. I started saving the whey from our most recent yogurt making experience, so I was prepared. We stopped by a local grocery store that has rock bottom prices, but questionable produce. When I saw that they had decent cucumbers, I grabbed three. 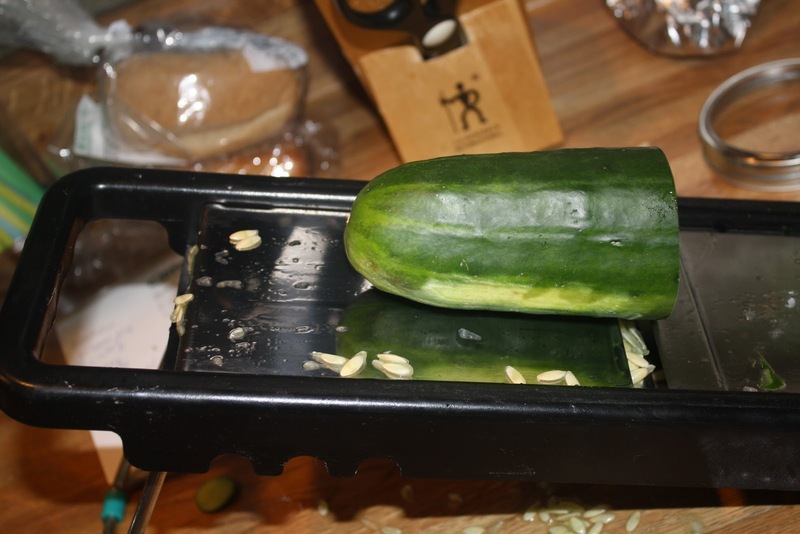 If this little experiment didn’t work, I didn’t want to have wasted good cukes! I sliced them up on the mandolin. 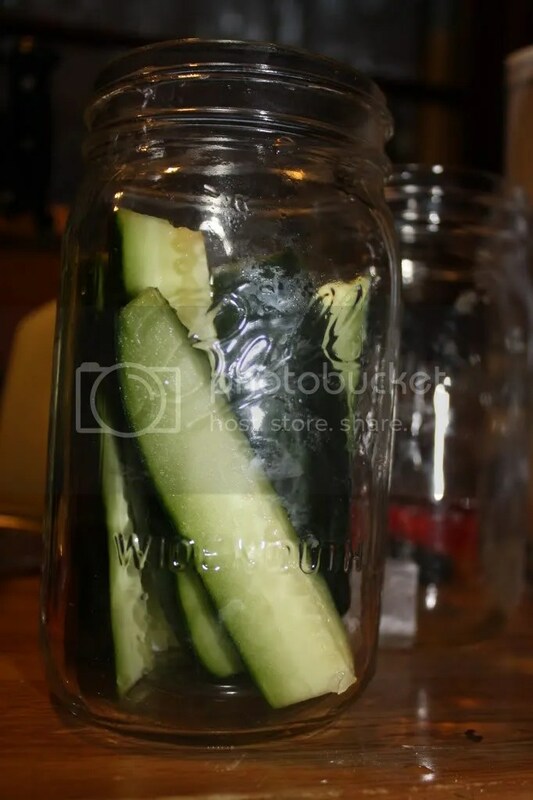 Since they were not pickling cucumbers, they got seeds everywhere and weren’t very pretty, but whatever. I stuffed them into 2 mason jars. Then, the magic was added. 1 cup of lemon juice, 1/3 cup of whey, 3/4 cup local honey, 3 Tablespoons of Sea Salt, 1 Tablespoon celery seed, and 1 teaspoon of mustard seed. The magic was poured into the jars and the jars were closed up tightly. They lived on the counter for 2 days, and then were taste tested. Mild, yet yummy. They have since been transferred to the fridge for future eating. This post was also featured at Monday Mania at the Healthy Home Economist and Tuesday Twister at GNOWFGLINS! 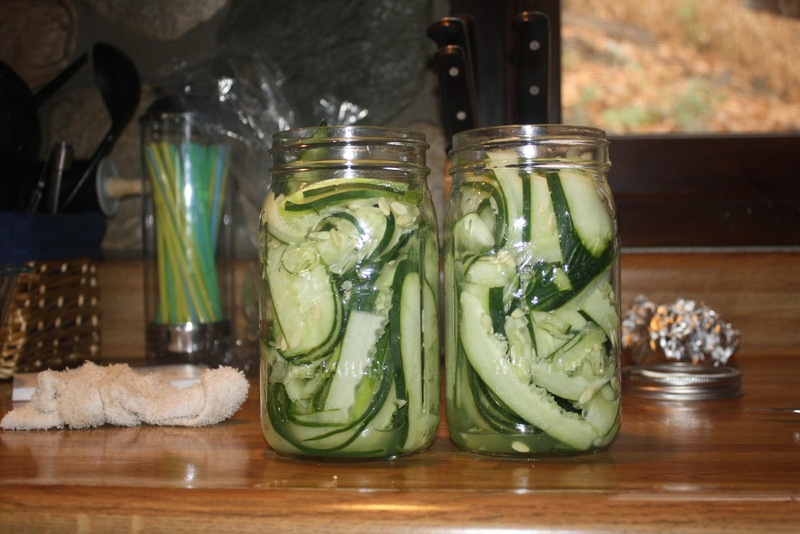 Categories: cucumbers, home-made basics, lacto-fermented, nourishing basics, veggies | Permalink.